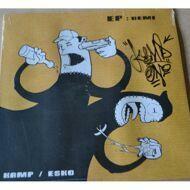 We have this classic EP from Kamp & Esko back in stock! All tracks produced by Brenk...austria finest! Limited signed Edition by Kamp himself!